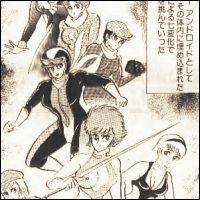 Cutey Honey was first a manga by Go Nagai in 1971. In 1973 Cutey Honey had became an anime series. Running on Saturday nights from October 13, 1973 to March 30 1974. Being considered to be the first "Magical Girl" series.